We are pleased to announce that Prof. David Ginger has been named the Raymon E. and Rosellen M. Lawton Distinguished Scholar in Chemistry. 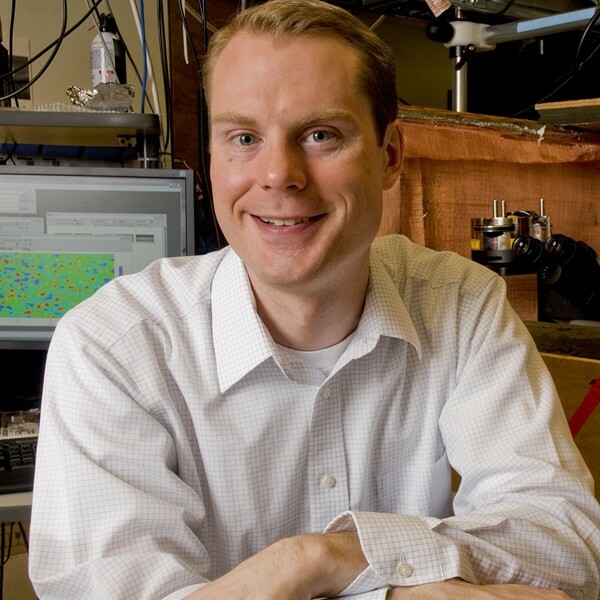 Research in the Ginger Lab focuses on the physical chemistry of nanostructured materials with potential applications in low cost photovoltaics (solar cells), energy efficient light-emitting diodes, and novel biosensors. The Lawton Distinguished Scholar in Chemistry position is funded by an annual gift by Dr. Raymon Lawton, who graduated with a B.S. in Chemistry with Honors in 1946. He went on to earn his M.D. from the University of Oregon. He had a distinguished career in medicine in San Diego, CA. We are deeply honored to have Dr. Lawton as a friend of Chemistry. To learn more about Prof. Ginger’s research, visit his faculty page and his research group page.